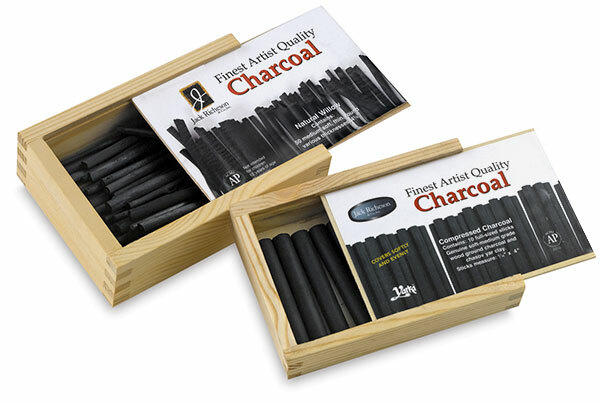 Richeson charcoal is a great drawing tool. It comes in willow or pressed varieties, and is packaged in a convenient wooden box. Pressed — Approximately 2-5/8" long, with a 5/16" diameter. Medium-soft and non-toxic. Wooden box of 10. Willow — Approximately 4-1/2" long. Medium-soft and non-toxic. Wooden box of 50.